Community Supported Agriculture, or CSA, is a way for small farmers to directly market their produce to the community. The community, in turn, directly supports its local farmers by purchasing an annual share of the farm’s products. 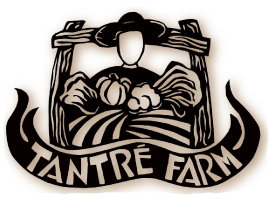 When you join Tantré Farm CSA, you are joining a farm community. There is a community among all the members, the farmers, and the local ecology. No labor is required of members, but you are encouraged to come out and visit the farm to help nurture your ties with the land.